Troy Dry Cleaning provides top of the line dry cleaning and laundry services to businesses and families throughout Saint Clair County. Our service area includes Port Huron, Fort Gratiot, St. Clair, Marysville, Lexington and more! Troy Dry Cleaning is the only OSHA-certified dry cleaner in Saint Clair County. Trust the professionals! 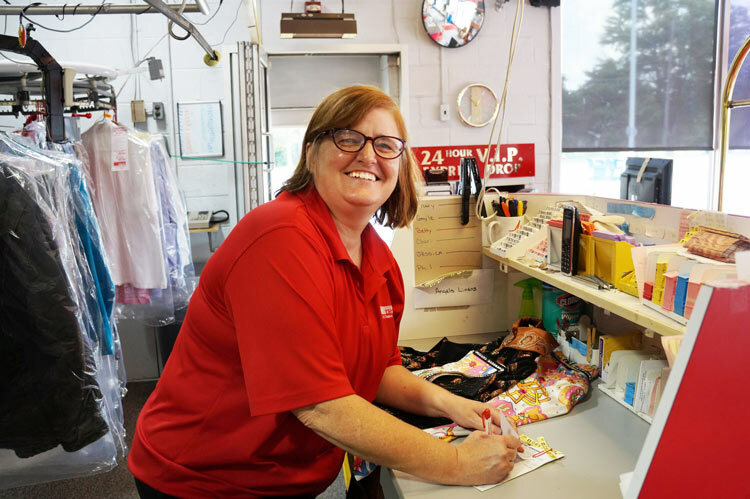 Our team has over 300 years of combined dry cleaning and laundry experience, with an average of 20+ years of service for each employee. You can trust Troy to provide the best dry cleaning and laundry service in Southeastern Michigan. Troy Dry Cleaning can not only clean your clothes and garments we also provide service to sanitize clothing, drapery, scrubs, sheets, and more! We offer a 24 hour drop box, so you can drop off your clothes at any time. We also have same day service available if you need to clean your clothes in a hurry! You invest so much into your wardrobe, trust us to deliver the exceptional appearance you want. We handle each and every item with personal care to ensure that your clothing is clean and looks like new.